KODIAK MOUNTAIN STONE not only features its own line of superior and beautiful stone products but also feature other products to help with the appearance of your home or project. 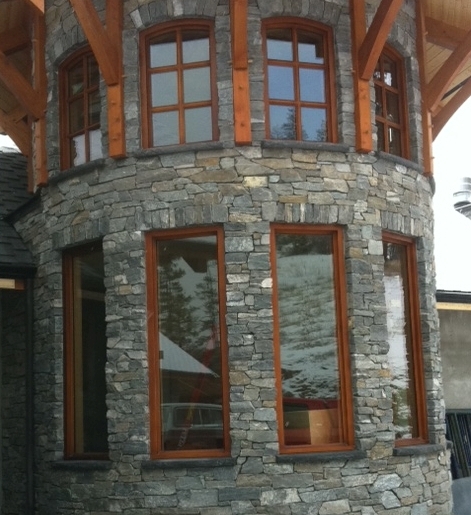 Kodiak Mountain Stone is proud to be the excusive Western Canadian Distributor of Master Wall Stucco. The Master Wall Lineup of products and thei r processes are second to none and they offer a complete range of colors and finishes for your new home project or to do renovations. Kodiak Mountain is proud to have Mark Farren as our Salesperson for the complete Master Wall system of Acrylic Stucco Products. Mark and the Kodiak Team can help you find the right combination of stucco and Stone that looks right for you. Brick has always be an excellent way to enhance the look and style of a home. KMS is the exclusive distributor of these brands of brick in Western Canada. Whether you need brick for a large commercial project or accents on your home, we can meet your needs. Natural stone has always been the standard that people are trying to meet or exceed and KMS offers Natural Stone from Quarries in Western Canada and the United States. We offer full set or veneer options and can get you what you need to give your project that gorgeous authentic stone look. Rhino Rock Concrete fencing can give you affordability, durability and beauty in your next fencing project. The RhinoRock light weight concrete fence utilizes a unique manufacturing process that produces a fence panel that weighs 90% less than a traditional heavy precast concrete fence. Lighter weight means lower costs. Veneerstone is a new line of stone exclusive to KMS in Canada. Natural warmth and and versatility coupled with creative planning can give your home or building the character and personality you desire! KMS can help you make the right Veneerstone choice.